The Zest 4 Toyz newborn to toddler rocker is a two-in-one product that can be used as a baby rocker or a baby seat for a quick nap or you can easily lift it for feeding and relaxing your baby. The rocker is designed in a new hi-tech manner, which provides a blend of style and comfort at the same time. This rocking cradle is made to provide extreme comfort and support to your baby. The portable toddler rocker or an infant seater is perfectly designed to keep your baby in a full playtime mood. It can also be converted into an infant lounge seat that features an interactive play bars. This light-weight and dual newborn to toddler rocker has a built-in handle that makes it so easy to carry it around with you when you want to sit in the balcony or garden with your baby. The gentle rocking motion of the rocker operates on a battery. 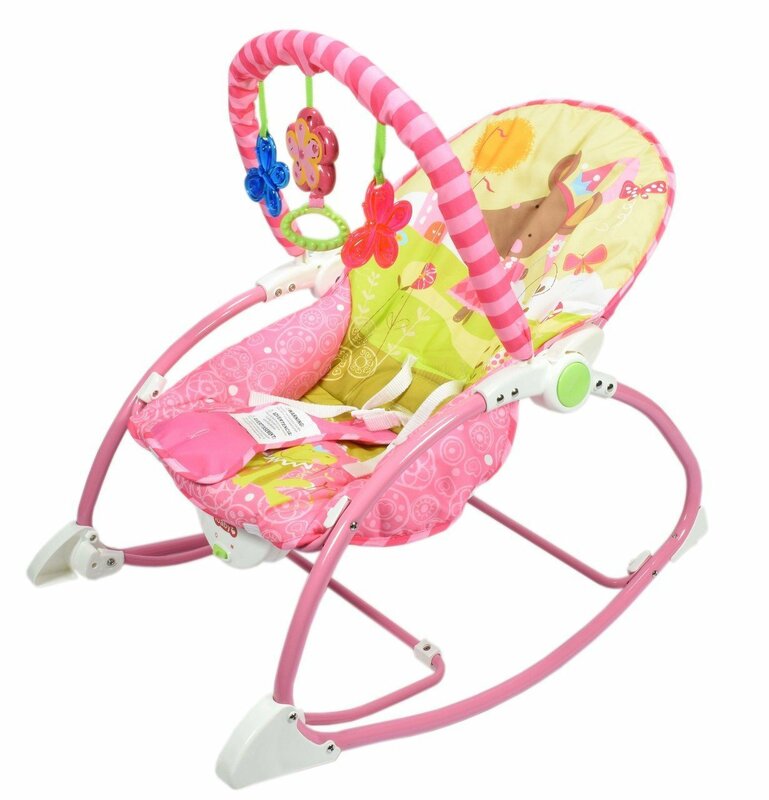 It provides a smooth kind of vibration throughout that helps the baby to relax and calm down. You can also unwind your toddler in its special lounge seat that includes comfortable positioning of the seat adjustments. If the rocker becomes too dusty, you can easily machine wash its soft accessories, and they are dryer-safe as well. It is a safe and secure system that takes care of your baby all the time he/she is lying in it. The toy bar has hanging toys which aids in stimulating the senses and developing the motor skills of the baby.